While many cities are offering urban bike-sharing programs, not a lot of occasional riders carry a helmet around with them. Instead, they often ride helmet-free which can be risky business in big cities with big traffic congestion. But now there is soon to be an affordable, collapsible, biodegradable helmet available from a curbside vending machine. Designed by Isis Shiffer, it’s made entirely of cardboard and folds up accordion-style to the approximate size of a banana, compact enough to fit into a laptop bag. 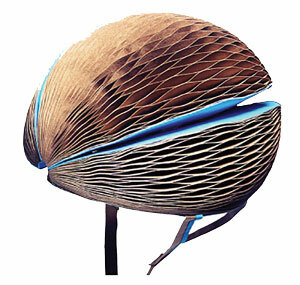 The EcoHelmet, which will be “one size fits most,” is designed to be used several times and then recycled. Shiffer is currently preparing her design for U.S. Consumer Product Safety Commission certification, with a goal of making the helmets available in vending machines at bike-share stations, where they could be sold for as little as $5, according to a statement on the James Dyson Award’s EcoHelmet project website. 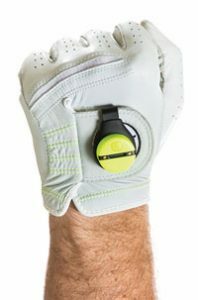 Using the Zepp Golf 2 sensor, golfers can track club speed, club plane, tempo, hand path, backswing position and hip rotation. 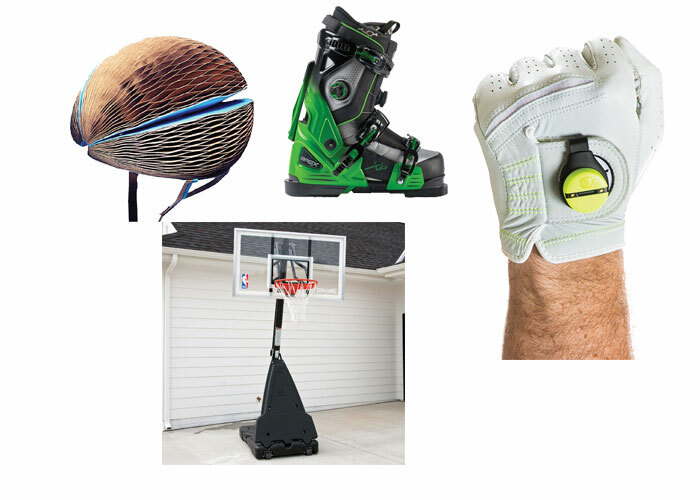 The sensor, which contains two accelerometers and two gyroscopes, attaches to a glove-mount and then connects wirelessly to a handheld device where it stores its data. You get 3D swing analysis and instant evaluation to help focus your training. You also get Smart Coach personalized video training programs from PGA/LPGA players and tour instructors. Selling for $149.99, the kit contains the Zepp 2 sensor, golf mount, USB charger and free mobile app for iOS and Android. This acrylic portable basketball hoop unit from Spalding combines high quality construction with super-easy portability, all-weather materials and includes a backboard, rim, net, pole and base. 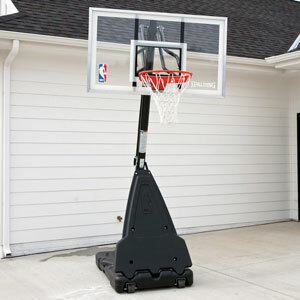 It breaks down and sets up quickly and easily and can be used in the driveway or in the gym. It features a 54-inch wide acrylic backboard; 3.5-inch round pole made from heavy duty steel; a screw jack lift system that adjusts height from 7.5 to 10 feet; and a 40-gallon base that you fill with sand or water. It comes complete with an Arena Slam breakaway rim that’s designed to flex under pressure to relieve stress on the backboard and help prevent injury. The rim is wrapped institutional-style and supported by steel braces; it also uses double-compression springs for the ultimate bounce-back. Sold by Hayneedle, list price is $899.99 but it’s now on sale for $372.59 with several delivery options. If you want high performance, comfort and walkability combined in a ski boot, try the award-winning new release from Apex Ski Boots, their XP Big Mountain. 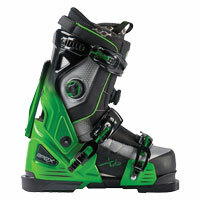 Shorter, stiffer and lighter than ever, this ski boot features Serpentine Lacing™, a three-buckle closure system featuring their 3PS™ ultra-secure instep for maximum control, and an open-toe chassis which allows for a shorter boot sole length to optimize ski binding interplay. The XP boot is designed for strong and experienced skiers seeking big mountain adventure and the ultimate skiing experience. Like other Apex ski boots, it combines high performance and optimized fit with warmth and comfort so you can enjoy the slopes all day long. Custom fit, flex and cuff alignment allows for personalized adjustment to your natural foot position. It sells for $995.